Seattle - Online retailer Amazon has been a prime beneficiary of more consumers doing their holiday shopping online and procrastinating. Amazon Prime, the company’s $99-a-year loyalty program that includes unlimited free two-day shipping, gained 3 million new members in the third week of December alone. Meanwhile, the number of Prime members shopping via mobile more than doubled this holiday season, Amazon said Monday. Christmas Eve was the biggest day yet for deliveries by the company’s Prime Now service, which now offers free two-hour delivery to more than 20 metropolitan areas. When Prime Now launched last year, it only delivered within Manhattan. More and more people do part or even all of their shopping online, increasingly using mobile devices such as tablets and smartphones to “window shop” and then buy items from their couch or their desk at work. Retailers are deluging consumers with e-mail offers for online-only deals. And procrastinators, once stuck dealing with huge crowds at shopping malls and big-box stores right before Christmas, now can do last-minute shopping online. Amazon and some other retailers promised that items ordered as late as the morning of Christmas Eve would arrive by midnight. 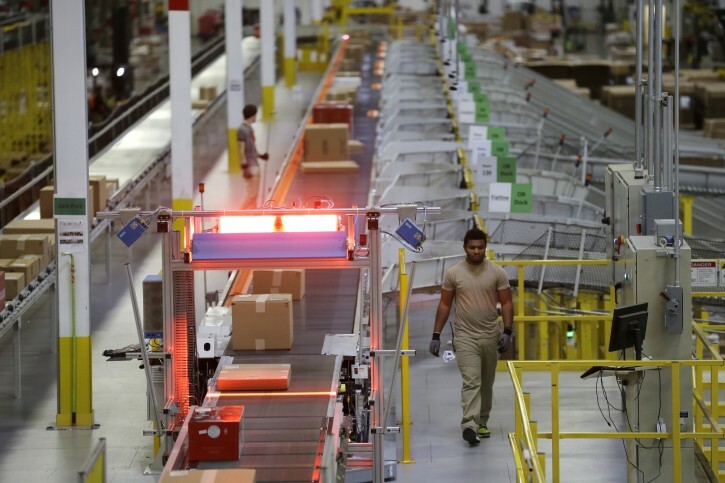 Amazon said nearly 70 percent of its customers this holiday used a mobile device to shop. Worldwide, on Cyber Monday alone, those customers ordered more than 35 electronic items per second and Adele’s new CD, “25,” every 3 seconds. Cyber Monday, the Monday following Thanksgiving, has seen online purchases jump since its founding a decade ago. Meanwhile, the number of shoppers going to stores on Black Friday has decreased as major retailers open on Thanksgiving evening and many retailers offer deals before then. Amazon’s report issued on Monday covers trends and percentage changes in its shipments, but doesn’t give sales figures or the number of items it shipped. In response to an Associated Press request for details, Amazon.com Inc. said that it isn’t sharing additional information.